The Tri-State Reciprocal Weekend with neighboring states Maine and Vermont, established by law and observed during the last weekend in January since 2011, has ended. Maine and Vermont have changed their laws to allow a free weekend instead during the first weekend in February. A free weekend means registration is not required, so the agreement to allow snowmobiles registered in one of the other two states is no longer needed for Vermont or Maine. 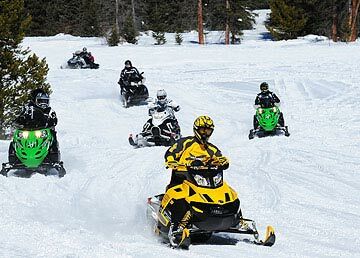 New Hampshire’s law, however, requires that in order for snowmobiles registered in Vermont or Maine to operate here in New Hampshire with their respective registrations, New Hampshire-registered snowmobiles must be allowed to operate in those states during the same time period. As a result, all snowmobiles operating in the Granite State must be registered in New Hampshire for the 2018-2019 winter season. 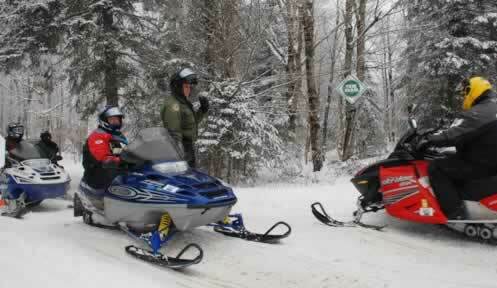 Snowmobiling has become one of the most popular forms of winter recreation in New Hampshire, and with almost 7,000 miles of established snowmobile trails spanning the state, residents and visitors have access to abundant opportunities to explore the natural beauty of the Granite State.